Wishing you had a smart home, but put off whenever you look at how much you'd spend doing it? Well, time to look again, as the low cost Sonoff modules are now even cheaper, starting at just $5.50. 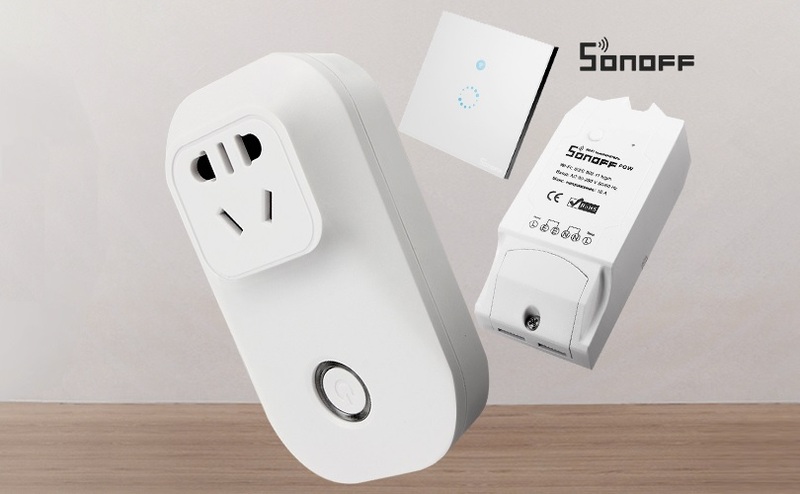 Sonoff has a wide range of modules, smart plugs, touch sensitive wall switches and more, using RF and/or WiFi, which you can mix and math at will to create the smart home of your dreams at a fraction of the cost of other modules. And not it gets even cheaper, thanks to Sonoff mega-sale that drops its prices even lower with the discount code BGSONOFF. 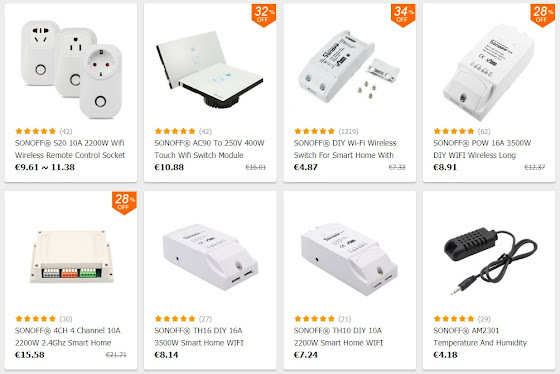 While you may be used to seeing z-wave and other modules costing upward of $50 each, here you can things like smart plugs for about $11; wireless modules for $5 (also available with power meter for about $9); touch sensing wall switches for $11; as well as dual and even quad channel modules (por $16) for more complex setups. Their system allows you to remotely control anything from their app, as well as set timers and routines (like lighting up the house when you arrive home), but even more importante, it also has Alexa and NEST integration - and, even more interesting, it's extremely "hackable", as it uses a ESP8266 chip that you can reprogram at will (say, using ESPeasy) and use it as you will. That's a bug plus for people using platforms like Home Assistant that don't want to rely on external services for automation.